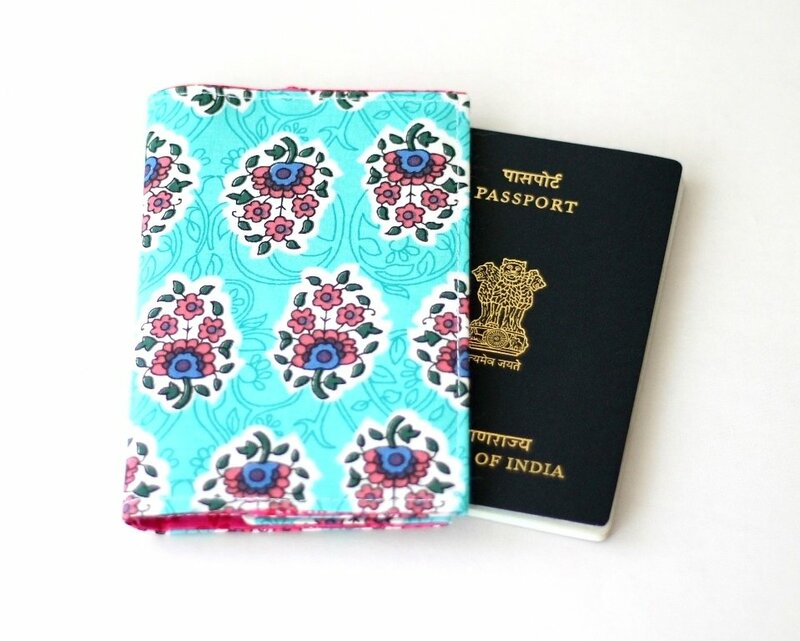 Protect your passport with this pretty aqua green fabric passport cover while traveling. Sleek and Slim passport sleeve that can easily be tucked inside your purse. - Fabric: Aqua green with pink floral block print cotton fabric. I used the pink block print cotton for lining. Maintenance: Hand Wash it gently and line dry, followed by pressing with a dry iron. A light spray of water will help to iron out the wrinkles after washing.